The turbinates are small, bony prominences that originate from the inside of the nose opposite the nasal septum. There are three on each side, arranged in a stair step pattern as the inferior, middle, and superior turbinates. The turbinates act to warm, humidify, and filter the inspired air. In addition, dilation of blood vessels within the skin covering the turbinates causes intermittent swelling which aids in maintaining normal airway resistance. For information about this part of your nasal anatomy might impact a nose job, please call (954) 526-0066 to schedule a consultation in the Miami area. Occasionally, the turbinates are either too large or project too far into the nasal airway, causing more congestion or obstruction than there should be. The usual culprit in these instances is the inferior turbinate. Sometimes the problem is simply anatomical – an overly large bony component. Other times the problem is too much swelling of the skin of the turbinate which may be due to allergies or sensitivity to other physical agents. Usually these latter reasons are treated by various nasal sprays to control symptoms. With large turbinates due to excessive bone, simply compressing them or pushing them to the side can improve the airway. Various techniques are also available to remove a part of the bone to create more space inside the nose. When the problem is excessive swelling of the skin of the turbinate, treating the skin by applying electrical current or trimming the excessive skin can frequently improve nasal stuffiness even though the basic underlying problem has not been addressed (allergies, sensitivities). In general, the turbinates are not as big an issue as nasal septum deviations when it comes to breathing problems. 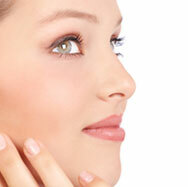 However, turbinate surgery may be necessary in certain situations. There is little discomfort from turbinate surgery. There will be a little bleeding immediately after the surgery, and perhaps more crusting as the skin heals initially. Otherwise it is typically a simple procedure to have performed with little downtime. Packs may or may not be used. To discuss the details of your nose surgery, please call (954) 526-0066 or click the button beneath this paragraph to access our online form. Dr. Harrell is pleased to serve patients in and around Miami and South Florida communities including Weston, Davie, Plantation, and Fort Lauderdale.